Counter space is valuable real-estate in the kitchen. Don't let it go to waste. Keep your work stations free and clear with this space saving NSF Certified commercial kitchen bun pan rack. 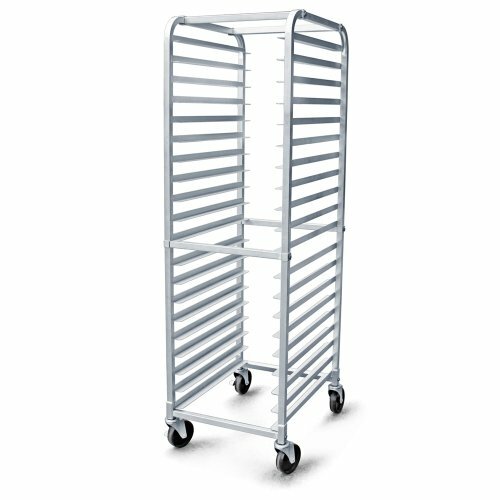 This aluminum bun pan rack holds 20 full-size commercial kitchen bun pans measuring 18" x 26" with front and rear loading capabilities. All New Star bun pan racks are also fitted with long lasting nylon tires and 2 breaking wheels.